Below you can view all the homes for sale in the Northcrest subdivision located in Atlanta Georgia. Listings in Northcrest are updated daily from data we receive from the Atlanta multiple listing service. To learn more about any of these homes or to receive custom notifications when a new property is listed for sale in Northcrest, give us a call at 404-998-4097. Run To See This One ... It Won'T Last Long! MLS#6540694. Clickit Realty. Walk To Shops. 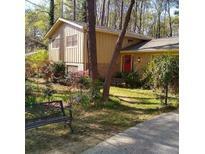 Minutes To 85, 285, Emory MLS#6529492. Becky Simon Realty. Walk To Shopping Center At Chamblee Tucker. Easy Access, Super Convenient Location. MLS#6527909. Chapman Hall Realty. 4Th Bedroom Downstairs Can Be Used As Office, Game Room , Home Gym W/ Lots Of Potentials . MLS#6523807. Apollo Realty, Inc..
Large Deck Off The Kitchen Is Perfect For Bbq'S & Entertaining. 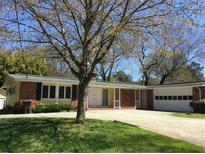 MLS#6518474. Keller Williams Rlty, First Atlanta. Hoa Community With Swimming Pool-Property Is Lender-Owned, Is Being Sold “As-Is” And That U.S.Bank Is Making No Representations Or Warranties. MLS#6504331. Palmerhouse Properties. Let'S Make This Home Yours Today!! ! MLS#6125501. Home Services Of Georgia, Inc..